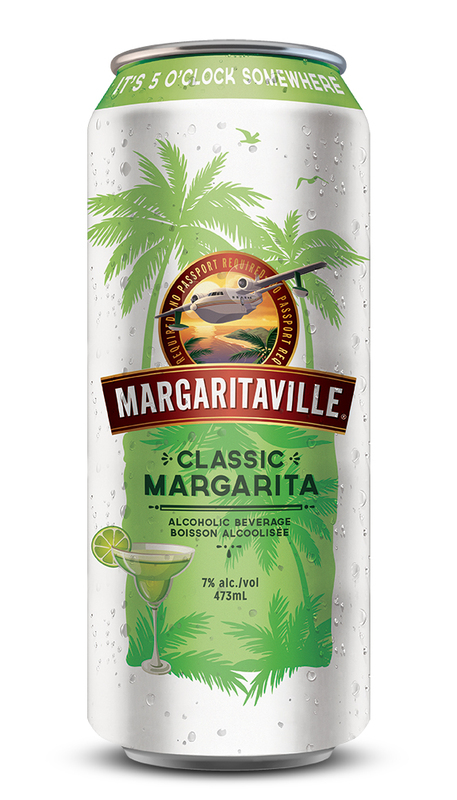 KITCHENER, ON--(Marketwired - April 18, 2017) - Brick Brewing Co. Limited ("Brick" or the "Company") (TSX: BRB), Ontario's largest Canadian-owned brewery, today announced the launch of Margaritaville Classic Margarita Coolers. "Margaritaville has always been a state of mind and a Margarita is the definition of thirst quenching when the heat of summer strikes," said Sean Dennis, Director of Marketing. "Our Classic Margarita Coolers are made with real tequila, one sip and you'll be transported to your Margaritaville. It's so good, a song was written about it." "Margaritaville Classic Margarita Coolers are perfect for summer get-togethers," said Jim Manz, Director of Sales. "Whether you prefer it straight from the can or as your favourite frozen concoction, these Classic Margarita Coolers promise to be great crowd-pleasers this summer. Margaritaville really is anywhere you want it to be." Margaritaville Classic Margarita Coolers are available in 473ml cans at the LCBO for $2.95. Brick is Ontario's largest Canadian-owned brewery. The Company is a regional brewer of award-winning premium quality and value beers and is officially certified under Global Food Safety Standard, one of the highest and most internationally recognized standards for safe food production. Founded in 1984, Brick Brewing Co. was the first craft brewery to start up in Ontario, and is credited with pioneering the present day craft brewing renaissance in Canada. Brick has complemented its Waterloo brand premium craft beers with other popular brands such as Laker, Red Baron, Red Cap and Formosa Springs Draft. In March 2011, Brick purchased the Canadian rights to the Seagram Coolers and now produces, sells, markets and distributes Seagram Coolers across Canada. Brick trades on the TSX under the symbol BRB. Visit us at www.brickbeer.com. All statements in this press release that do not directly and exclusively relate to historical facts constitute forward-looking statements as of the date of this press release. Forward-looking statements generally can be identified by the use of forward-looking terminology such as "may", "will", "expect", "intend", "anticipate", "seek", "plan", "believe" or "continue" or the negatives of these terms or variations of them or similar terminology. Although the Corporation believes that the expectations and assumptions reflected in these forward-looking statements are reasonable, undue reliance should not be placed on these forward-looking statements, which are not guarantees and are subject to certain risks, uncertainties and assumptions, which may cause actual performance and financial results to differ materially from such forward-looking statements. The forward-looking statements included in this press release are made only at the date of this press release and, except as required by applicable securities laws, the Corporation does not undertake to publicly update such forward-looking statements to reflect new information, future events or otherwise.